Happy holidays to those that celebrate. Otherwise, I hope you are enjoying your spring weekend in fun and inventive ways. Yesterday was a big day for me. After what has been two years of graduate school, one semester of writing, and months upon weeks of planning my presentation, I have successfully completed and presented my Integrative Thesis Recommendations. This assignment has loomed over me and consumed my time and energy for far too long now and I’m grateful to be done. I couldn’t have done it without these people among many others. Something I have learned through this process is the importance of asking for help. This project was a culmination of long nights and worried weekends. The support and encouragement given to me was the fuel I needed to march on. My hope is that with the conclusion of my research I can propel myself into whatever comes next. Uncertainty continues to mark my visions of the future. Maybe I learn to poorly play the violin, the instrument’s strings wailing under the pressure of my practice. Maybe learning a new language would be most fulfilling. Exploring new corners of the Earth I have yet to consider simply by listening. Whatever comes next, it is time I am most eager to learn about. I’m not interested in easy and I detest the idea of being average. I hope to change the world in extraordinary imperfect ways with time as my accomplice. One day at a time. I definitely felt more comfortable in front of the camera and I’m eager to improve. I miss the daily posts and interacting with the WordPress community on a more regular basis. I really enjoyed interacting with and having conversations with professionals dedicated to education. I can fondly remember some of the most outstanding teachers I have had, simply because of how they made me FEEL. It’s not always about content, I would be unable to tell you about some of the specific details about old tests or assignments. What I can share is how I felt at home walking into each of these anointed classrooms. I was welcomed and encouraged to do my best work and to be myself. I hope to one day do that for students of my own. As I wrap up my Master’s Degree, I’m looking forward to doing more writing and sharing here on the Gratitude Journal. The sun has helped my motivation this past week and I’m excited for it to continue to get warmer. 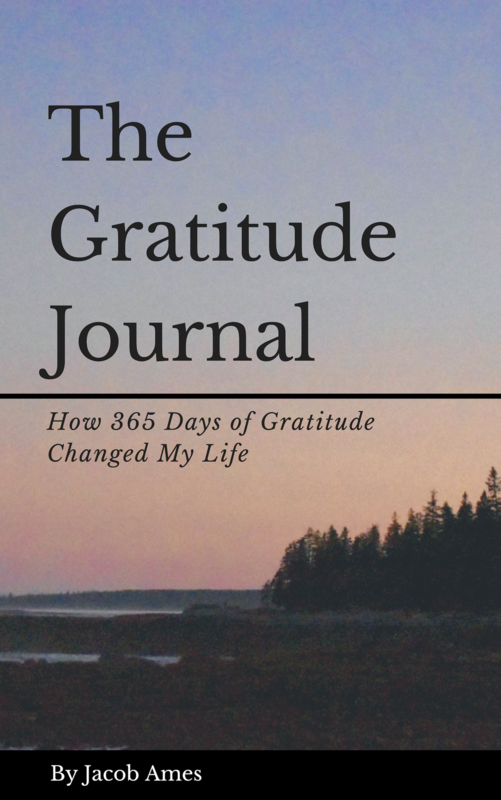 Keep on the lookout for a published version of 365 Days Of Gratitude! My dream for the Gratitude Journal is to recruit as many writers as possible. The blog would continue to post daily and share gratitude lists from all over the world in combination with larger projects and ideas meant to be shared. If this is something you’re interested in, follow the links to Guest Blogging up above. As I have taken a step back from the daily posts, I have given time and thought to what my next Gratitude project will be. One of the most powerful lessons I learned during my 365 Days Of Gratitude was that Gratitude is meant to be shared. It is important to have Gratitude for yourself and for your process but others deserve to hear the same. A handwritten note or a big ol’ hug can go a long way for a friend or mentor. I love the idea of paying it forward and I hope to inspire the same with Gratitude. Below you will find The Gratitude Wall. A digital wall to share, post, create, draw, and design. I have been inspired by those before me who have created colorful, thoughtful, spaces for people to show their love and appreciation. In today’s digital age, this wall can grow beyond the confines and access of a single space. We have the opportunity to share gratitude across the globe in so many different ways. I’m hoping you will join me in this venture. Post on the wall and share it with a friend. Encourage them to do the same and we can create a chain reaction of Gratitude. I have aspirations of changing the world but something like that does not just happen overnight and it’s not something I can do alone. Change starts in ourselves, it extends to our communities and environments and continues on to shape the lives of others. The best part is, we have the power to start today. Sign the wall and post something of your own. If you’re interested in Guest Blogging for the Gratitude Journal, click (here)! I’m looking for list makers and gratitude writers!